Observing the relationship between an Aquarius man and the Libra woman is like a watching a rider tame a wild horse. The Libra woman is one of the very few whose traits are in such a way complementary to the Aquarius man that she can control him, in a positive way. The Aquarius man is not too complex, yet very unpredictable. He is extremely energetic which will be appealing to the Libra woman. The Aquarius man is also a people’s person. He loves to go out, make friends, and is socially very active. He will definitely like having the charming and intellectually sound Libra woman by his side when he does so. 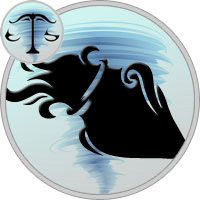 The Aquarius man’s good and caring nature will catch the eye of the Libra woman immediately. Her stable nature will lure the Aquarius man. The Libra woman is also aware that she is able to tune the behaviour of the Aquarius man to a certain extent. She will be able to get her point across very easily if the relationship is healthy. It is fair to say that both partners are intelligent, level headed, and logical. The Aquarius man will usually love his independence. He will love his sense of freedom and will go to great lengths to protect it. The Libra woman should be aware of this. The degree or should we say channels of romance may be affected due to this. However, she can use her strategy and her ability to be politically correct at times to her advantage. She will be able to address him directly. This will make it much easier to direct the Aquarius man and demand favours. She can surely expect him to fetch her a present that she may have subtly suggested him on Christmas. Situations like these will over power any deficiency in the romance levels in the Aquarian mindset. The best part of these complementary traits is that it works out fine for both partners. The Aquarius man may be poor at expressing emotions, however is extremely loyal and true when it comes to steady relationships. He is evidently socially very active and may have a large number of friends, including women. It is very important that you do not push boundaries of possessiveness with this man. Stand your ground and have faith in the relationship. The Libra woman’s calm and cool nature will come into play here and will help her assess every situation in its own merit. Word of caution to the Libra woman: Doubt only when necessary. Love relationship between an Aquarius man and a Libra woman are very colourful, which is not surprising to know, considering they are both "switched-on" personalities and have positive outlooks towards life in general. Although romance levels can vary, the need for physical satisfaction will definitely take over. Even moments like a thoughtful conversation on the bed may lead to a long and wild session. What is more interesting is that the aura of the Libra woman’s control over the Aquarius man definitely shows in the bedroom. It will not be surprising if the Libra woman introduces him to role play or other variations in the bedroom. Physical relations between both partners are very meaningful and enhance the feeling of togetherness. The level headedness of both Libra woman and the Aquarius man may even get them to agree on the number of times they rock the bed! Sparks fly when the Libra woman meets the outgoing Aquarius man on the first date. She will fall in love with this smart and popular man. The Aquarius man will also be enchanted by the charm of the witty Libra woman. He will love the animated conversations over the dinner table! The Libra woman should be careful when she tries to mould the relationship to her advantage. It is like lighting a matchstick - apply too much pressure and it breaks!